This segment is called small commercial vehicle segment. This segment basically consists of 2 models i.e. 207 and ACE. Loading capacity of 207 is 1101 Kg and this model is available with different variants like Ex and Rx. Along with this according to the customer need these vehicle is available with single cabin and double cabin also. 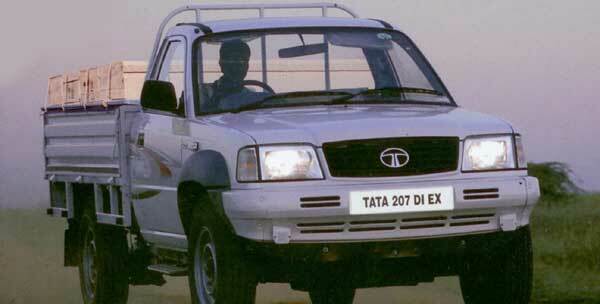 Ace is the smallest commercial vehicle in the range of Tata Motors vehicles. Loading capacity of this vehicle is 745 Kg. this all vehicles are used in the applications like Market load, grains transportation, vegetables transportation, poultry, publicity vehicles etc. Apart from this variants, one variant of 207 is called Telcoline which is a fully air conditioned vehicle and built for special applications like wild life safari.